Wisconsin has the expertise, programs and support network to help you and the communities in which you operate. They offer loans, loan guarantees and tax credits to help companies grow and succeed in Wisconsin. For businesses that do not have significant Wisconsin income tax liabilities, Economic Development Tax Credits can be transferred to a third party. To encourage business growth and job creation, they provide tax credits and exemptions on sales and property tax for qualifying manufacturing and agricultural businesses. In fact, you can virtually eliminate the tax on income from manufacturing activity in the state with the Manufacturing and Agriculture Credit. When fully phased in, the effective corporate tax rate for manufacturing and agricultural activities will be just 0.4 percent. For businesses planning to move to and hire workers in Wisconsin, they offer Economic Development Tax Credits based on the creation or retention of full-time jobs, depending upon the wage range and number of jobs to be created. Through their Certified In Wisconsin Program, they have standardized the process of identifying development-ready sites to help expedite business expansion, saving time, money and potential risk. As part of their $150 million commitment to workforce development, they offer Training Grants to businesses that want to upgrade or improve the job-related skills of their full-time employees. Businesses that begin operating in, relocate to, or expand an existing operation in Wisconsin may be eligible for Economic Development Tax Credits (ETC). Tax credits are allocated for the creation or the retention of full-time jobs, and are based on wage range of the jobs, number of jobs to be created or retained, capital investment made by the business, and training costs for new or current employees. 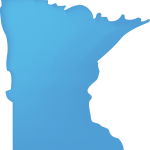 Businesses located in or relocating to Wisconsin may be eligible for Enterprise Zone Tax Credits. A certified business may qualify for tax credits only for eligible activities that occur after an eligibility date established by WEDC. Positions that are created as a result of the tax credits claimed shall be maintained for at least five years after the certification date established by WEDC. Business that wish to apply for Enterprise Zone Tax Credits must submit an application for certification to WEDC. A business will be required to enter into a contract with WEDC for the tax credits prior to any certification or verification of tax credits by WEDC. The contract will include penalties for non-compliance. Businesses located in or relocating to Wisconsin that are creating full-time jobs may be eligible for Jobs Tax Credits. A certified business may qualify for tax credits only for eligible activities that occur after an eligibility date established by WEDC. Positions that are created as a result of the tax credits claimed shall be maintained for at least five years after the certification date established by WEDC. To be certified for Jobs Tax Credits, businesses will be required to submit an application along with supporting documentation. A business will be required to enter into a contract with WEDC for the tax credits prior to any certification or verification of tax credits by WEDC. The contract will include penalties for non-compliance. Register Online. Safe, secure and easy. 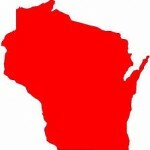 Your business will be placed on the list of qualified Wisconsin businesses within three weeks. You will receive immediate confirmation that your business has been registered. Must register online each calendar year. Investors in qualified Wisconsin business are eligible for deferral or exclusion of long-term capital gain. Must have at least two full-time employees. Amount of payroll compensation paid in Wisconsin must be at least 50% of the payroll compensation paid for all operations. 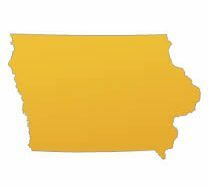 Value of real and tangible personal property owned or rented and used by the business in Wisconsin must be at least 50% of the value of real and tangible personal property owned or rented and used by the business for all operations. WHEDA offers a number of programs and services in support of business development within the State of Wisconsin. Guarantee Programs: Loan guarantees targeted to specific types of economic development projects. Participation Lending: Partnerships with lending institutions to provide commercial credit for larger projects. State Small Business Credit Initiative: Capital access, private equity and other programs that promote job creation and retention. New Markets Tax Credit (NMTC) Program: Serves as a resource to help fuel job creation and economic development efforts by promoting equity investment in low-income urban and rural communities. Businesses involved in NMTC deals can obtain benefits including lower interest rates on loans, interest-only payments for seven years, non-traditional financing not available in the marketplace, access to a reduced cost of capital, and more. Projects must be located in highly distressed census tracts, which are determined by factors such as poverty rates and percentage of median family income. Wisconsin’s Brownfield Program provides grant funds to assist local governments, businesses and individuals with assessing and remediating the environmental contamination of an abandoned, idle or underused industrial or commercial facility or site. This program will help convert contaminated sites into productive properties that are attractive and ready for redevelopment. Any city, village, town, county, individual or business may apply for funds, provided that the party that caused the environmental contamination and any person who possessed or controlled the environmental contaminant is unknown, cannot be located, or is financially unable to pay for the remediation of the soil and/or groundwater. Capacity Building (CAP) Grant funds are designed to help strengthen Wisconsin’s economic development network by assisting local and regional economic development groups with economic competitiveness assessments and the development of a Comprehensive Economic Development Strategy. With 96 percent of the world’s population consuming products outside the U.S., and one billion people expected to join the global middle class in the next decade, Wisconsin companies are changing the way they think about their businesses. For many, exporting is no longer a luxury—it’s a necessity. ExporTech™, an export acceleration program delivered in partnership by the Wisconsin Economic Development Corporation (WEDC), the Wisconsin Manufacturing Extension Partnership (WMEP) and the UW-Stout Manufacturing Outreach Center (MOC), helps Wisconsin companies expand their global market reaches through targeted export strategy development and execution. Participating companies receive access to experts, individualized coaching and consulting, customized support and guided development of an international growth plan. The program provides a unique focus on CEO/top management success factors and aims to provide companies with early export success at a reduced risk. Each ExporTech session consists of three intense events scheduled one month apart. Coaching and assistance is provided between events. Wisconsin provides Training Grants to assist businesses in workforce retention and expansion into new markets and technology. The program provides grant funds to businesses to upgrade or improve the job-related skills of its full-time employees. Grant funds may be approved for eligible training and provided to existing and new employees in full-time jobs. Any business making a firm commitment to locate a new facility in Wisconsin or expand an existing facility within the state, and is upgrading a product, process or service that requires training in new technology and industrial skills, may be eligible for a Training Grant. Training grants are limited to 50 percent of the eligible training costs or up to $5,000 per employee trained, whichever is less. Industrial Revenue Bonds (IRBs) are designed to help Wisconsin municipalities support industrial development through the sale of tax-exempt bonds. IRB financing can be used for building, equipment, land, and bond issuance costs, but not for working capital. Manufacturing includes nearly every type of processing that result in a change in the condition of tangible personal property. Manufacturing does not include activities such as feeding, growing and harvesting live animals. It also does not include the provision of recreational services, wholesaling, retailing, or repair services.